Huazhu Group notified police after claims appeared online that hundreds of millions of items of information from its users were leaked. People wait outside a Hanting Youjia Hotel in Shanghai on July 8, 2018. 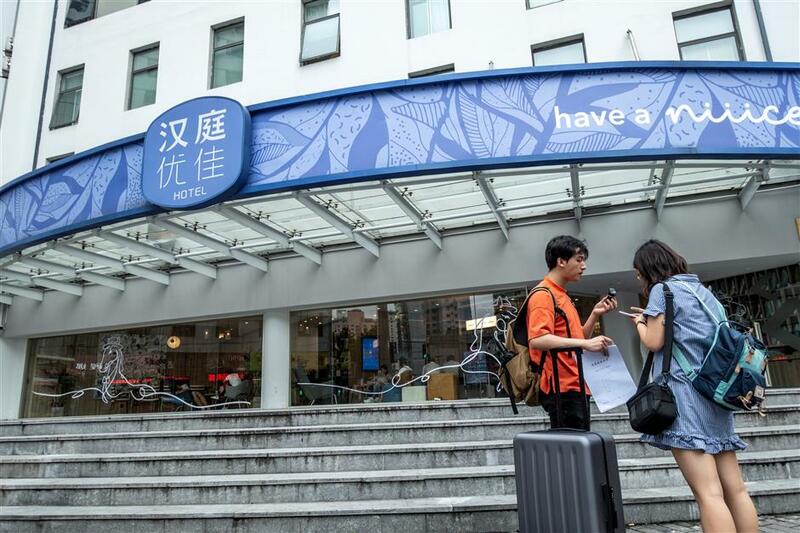 Huazhu Group, formerly known as China Lodging Group, notified Shanghai police on Tuesday about the possible leak of its hotel user information on the Internet. Huazhu, headquartered in Changning District, Shanghai, is a leading multi-brand hotel group in China and one of the largest in the world, with over 100 million registered users, according to its official website. The hotel group has brands including Novotel, Crystal Orange, ibis, HanTing and Hi Inn, among others. The company took action after allegations appeared on the Internet on Tuesday that someone was offering hundreds of millions of items of personal information about its hotel users for sale on the dark web. According to district police, the company said it has already started an internal investigation into the claims. The company also said in a statement on Tuesday that it has engaged a professional IT company to verify if the alleged personal information being sold online was leaked from within the company.